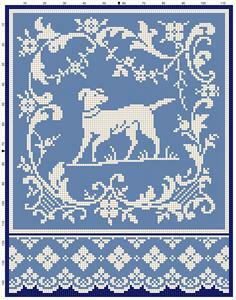 A dog. 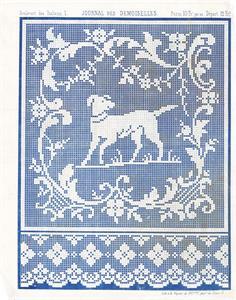 Front pattern of a supplement to the Journal Des Demoiselles. 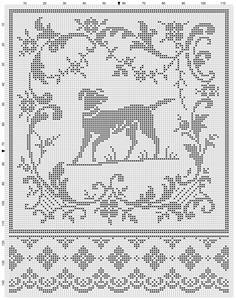 Suitable for filet, filet crochet, cross-stitch.